All NERECREEK homes currently listed for sale in Salt Lake City as of 04/18/2019 are shown below. You can change the search criteria at any time by pressing the 'Change Search' button below. 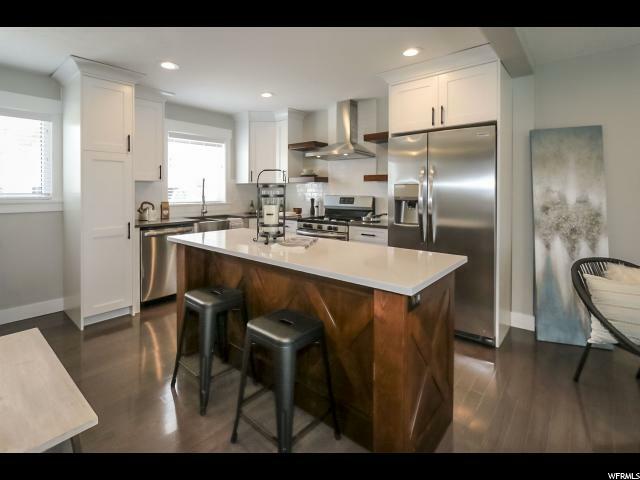 "Stunning remodel in one of the most desired areas nestled between East Millcreek, Holladay, Country Club, & Sugarhouse! Upgraded from top to bottom including a rare master bath, beautiful modern exterior, hardwood floors, fabulous kitchen with quartz countertops and stainless appliances, new HVAC and electrical (including service to the home), plumbing, baths, and more! Stunning barn doors allow the fifth bedroom to be used as an office open to the living space if preferred. A must see home! Square footage figures are provided as a courtesy estimate only and were obtained from builder's plans . Buyer is advised to obtain an independent measurement."